Quantifying the energy efficiency of pump units across markets is a tough task: These units mostly consist of rotodynamic pumps driven by motor systems either without or with variable frequency drives (VFD), the latter being called power drive systems (PDS). To evaluate the energy efficiency of such arbitrary pump units in the frame of the Extended Product Approach (EPA), the Energy-Efficiency-Index (EEI) is introduced as a normalized weighted average of electrical power input of a pump unit operated at different duty points of a standardized load-time profile. If the unit is equipped with a VFD, the duty points also have to be adjusted according to a standardized pressure control curve. The energy efficiency index is therefore a measure of energy efficiency and represents simultaneously the quality of the Extended Product "pump unit" and the characters of the standardized load-time profile and the standardized pressure control curve. The two general methodologies to determine the energy efficiency index presented in this article are valid independently of a particular standardized load-time profile or pressure control curve. Besides determining the energy efficiency index experimentally, an alternative methodology is necessary to establish a market-wide energy efficiency index determination with reasonable effort for manufacturers, system integrators and customers. The alternative approach described in this article is capable of modeling the part load behavior of the pump unit's components with sufficient accuracy. To achieve this, the methodology rests upon physically based semi-analytic models of the components of the pump unit. The models are adapted to the corresponding real components by means of a small amount of well-defined data. The methodology is reported in its general form in this article, treating the underlying semi-analytic models themselves as black-boxes. The approach is developed and experimentally validated within the scope of a EUROPUMP project carried out at Technische Universitaet Darmstadt, Germany. The political goal to increase the sustainability of the energy production and utilization inside the European Union, especially to reduce the emission of CO2, has led to the ecodesign directives 2005/32/EC  and 2009/125/EC . These were intended to increase the energy efficiency of energy using and energy related products. Starting from preparatory studies and accompanied by a consecutive exchange of information with the association of European pump manufacturers (EUROPUMP), the European Commission has passed two pump-specific regulations on a legislative level which came into force on January 1st, 2013. The first of these regulations  applies to circulator pumps for heating and hot water circuits. The second regulation  applies to rotodynamic clean water pumps of specified types within a scope of nominal data (c.f. ). These pumps are classified in respect to energy efficiency by a so called Minimum-Efficiency-Index (MEI), a classification system of lower limits for the pump's efficiency at three specified flow rates: one at 75 % part load, one at 110 % over load and one at best efficiency point (BEP). The classification according to the MEI is standardized in a coming EN standard  while the corresponding legislative regulation  specifies the minimum values of minimum efficiency index that have to be fulfilled to allow the product to be placed on the market. Comparable regulations exist in the field of asynchronous motors: The system of IE classes that was adopted in 2008 , classifies asynchronous motors with respect to their efficiency at nominal load condition. Both the regulation affecting the water pump market  and the system of IE classes  affecting the market of asynchronous motors can be summarized under the keyword "Product Approach". The energy savings of measures in the frame of a Product Approach result from forced increases of the product efficiency. This way of reducing the energy consumption requires high effort by the manufacturers as the design of the product in relation to its efficiency and the manufacturing technologies etc. have to be improved. Furthermore, the question whether the product is applied in an energy efficient way is blinded out completely by a Product Approach. These reasons have motivated to extend the Product Approach to a concept called Extended Product Approach (EPA) that includes both the efficiency and the application of a product. In respect to pumps, the Extended Products consist of a pump and a motor system. The latter is an electric motor with or without a VFD. The Extended Product Approach has already been successfully introduced in the field of circulator pumps in the European Union by regulation  mentioned above, where the determination of a value called energy efficiency index is mandatory for every circulator pump since January, 2013. To also apply the EPA on rotodynamic clean water pumps and to assess them by an adequately defined energy efficiency index-value is problematic since there are serious differences between typical circulator and clean water pumps that need to be addressed. Circulator pumps are generally sold as fully integrated products where all the product's components (rotodynamic pump and electric motor without or with VFD) are technically aligned to each other by one manufacturer and the customer is not intended to combine these on his own. Therefore the determination of energy efficiency index is clearly allocated to one accountable institution. In contrast to that, the combination of individual components (which also might be delivered by different manufacturers) to complete pump units by a system integrator company is an important case in the field of clean water pumps and therefore cannot be neglected. Neither the responsibility nor the methodology to determine the energy efficiency index of such Extended Products in the field of clean water pump units is straightforward. A market-wide experimental determination of the energy efficiency index would additionally cause high effort to manufacturers and/or system integrators. An alternative determination methodology is therefore desirable or – even more – urgently necessary to enable the energy efficiency qualification of rotodynamic clean water pumps according to the EPA across markets. This article describes an experimental as well as a so-called semi-analytical methodology to determine the energy efficiency index for clean water pump units in the frame of the EPA. The main focus in this article will be on the semi-analytic methodology. The Extended Product Approach (EPA) for rotodynamic clean water pump units (c.f. Fig. 1) focuses presently on pump units of different types and sizes that are widely applied in the field of clean water pumping. The pumps are driven by asynchronous motors without or with VFDs, the latter being called Power Drive Systems (PDS). In the sense of European legislation and standardization, these fixed-speed and variable-speed pump units are "Extended Products". Basic feature of the EPA is the consideration of an energy efficient application of the Extended Product in addition to the product efficiency alone as it is the case in a Product Approach. To reach this, a load-time profile and a pressure control curve (c.f. below) need to be incorporated in the methodology. Result of the EPA is the energy efficiency index, a value representing both the efficiencies of the Extended Product's components and its suitability in terms of energy efficiency for the load-time profile and pressure control curve the determination of the energy efficiency index is based on (cf. Fig. 1). Ideally, a load-time profile would represent the particular application a pump unit needs to be chosen for in the best way possible, but two serious problems prevent the realization of this: Firstly, the customer respectively system integrator would need to apply the EPA and determine an energy efficiency index for every available pump unit in the market on his own in order to find the most energy efficient one for any particular application. Secondly, a load-time profile representing sufficiently well the particular application is costly to determine and therefore in most cases not available. To overcome these problems, to enable a market-wide determination of energy efficiency index values and to maintain comparability between different pump units despite of the different applications they are used in, standardized load-time profiles are established for different types of applications. The intention of these standardized load-time profiles is not to represent particular applications in the best way possible. In fact, they shall constitute representative applications – that are not too far from typical load-time profiles in the particular types of application – only for the purpose of applying the EPA and thus determining the energy efficiency index. The introduction of these standardized load-time profiles as common bases enables a sufficiently accurate prediction of the relative differences in terms of energy efficiency between different pump units for various types of applications: The better the energy efficiency index of a pump unit based on the standardized load profile for a particular type of application is, the more energy efficient this pump unit will most likely perform in the real application of the same type, too. Thus a further aspect of competition is introduced to the market via the EPA. It should be pointed out that the standardized load-time profiles exclude any idle time of the pump unit: Only the performance of the running extended product is considered. This is reasonable, because the interaction of the extended product with the application or system it is used in (e.g. on/off-switching controlled by level switches) is not intended to be included in the qualification in terms of energy efficiency in the sense of the EPA. Future concepts e.g. in the sense of system approaches might be able to include the interaction of extended products with the applications or systems they are used in into one measure of energy efficiency qualification. In contrast to that, the EPA is intended to qualify pump units as extended products that could be taken out of a box and installed into an application or system afterwards. At the time this article was written, different standardized load-time profiles representing different types of applications were considered by the EUROPUMP working group developing the EPA. For detailed information on the status of these discussions as well as further information on the concept of the EPA in general, it is recommended to refer to . In the present article, the so called Heating- Ventilating-and-Air-Conditioning (HVAC) load-time profile is generalized for closed loop applications of clean water pumps. It is used in this article as standardized load-time profile for demonstration and explanation of the methodologies to determine the energy efficiency index in the frame of the EPA (cf. Fig. 2). It should be noted that this restriction clearly affects the numerical values used to illustrate the methodical procedures in the course of the article. Nevertheless, the general methodologies to determine the energy efficiency index presented in this article are valid independently of a particular load-time profile. The load-time profile for closed loop applications is characterized by the rated flow rates Qi/Q100% where the subscript 100% denotes the nominal operating point of the pump (corresponding to the pump's best efficiency point at its nominal rotational speed n100% ) and time weights Δti/ttot listed in Table 1. The time weights represent which fraction Δti of the total operating time ttot (excluding the time the unit is switched off) the pump unit is operated at the individual value of flow rate. The load time profile as it is listed in Table 1 has been determined by  and is internationally accepted as being representative for the very important application field of building technology. It should be noted that according to Table 1 a load-time profile is only characterized by values of flow rate and time weight for each duty point and not by values of the pump head H.
n100% = 1450 rpm in case of units equipped with 4-pole motors. These values of the nominal rotational speeds have grown historically in European legislation and standardization: The EUROPUMP working group responsible for the development of the EPA defined the nominal rotational speeds of pumps in the frame of the EPA according to equation (2) to be in line with the MEI classification system for water pumps. For this classification system, nominal rotational pump speeds had to be defined to establish comparability between different pumps as well (c.f. ). In contrast to fixed-speed pump units, the relevant duty points for determining the energy efficiency index of a variable speed pump unit (pump unit driven by asynchronous motor with variable frequency drive) are not straightforward. Due to the ability of varying the rotational speed by varying the motor stator frequency e.g. via a variable frequency drive, these units are able to be operated at duty points distributed over a wide range of the QH -plane (c.f. Fig. 2). In many applications where highly varying flow rates are demanded as is the case for the closed loop load-time profile used as example in this article (c.f. Fig. 2 and Table 1) the smaller values of flow rate could easily be delivered by the pump with decreased pump head, too. To exploit this potential of saving energy and reduce the pump head compared to the corresponding value on the pump characteristic at n100% the rotational speed needs to be reduced at reduced flow rate. Generally, manufacturers and system integrators use their own control strategy following which the rotational speed is reduced according to decreasing flow rates. 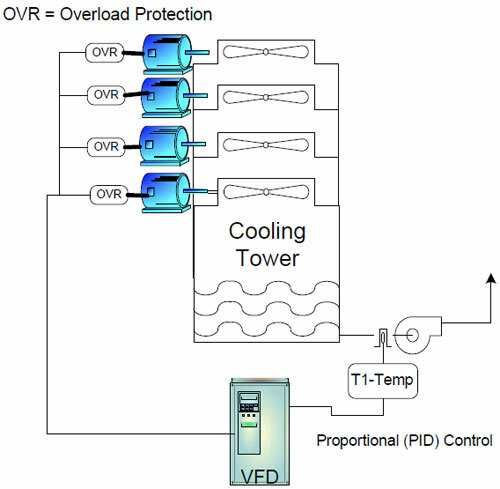 Furthermore, these control strategies can often easily be changed by changing the software settings of the variable frequency drive. To reach comparability of energy efficiency index values of variable-speed pump units across markets in spite of such individual control strategies, standardized pressure control curves are established for various types of applications. As is the case for the standardized load-time profiles mentioned above, the purpose of the standardized pressure control curves is not to represent individual applications in the best way possible, but to provide representative control curves as a common base. These standardized control curves are defined in a form that is not too far from typical pressure control curves used in the particular types of applications. They serve only for the purpose of determining the energy efficiency index in the frame of the EPA. At the time this article was written, different standardized pressure control curves belonging to different types of applications were considered by the EUROPUMP working group developing the EPA. For detailed information on the status of these discussions it is recommended to refer to . is used to illustrate the determination of energy efficiency index for variable-speed pump units. The pressure control curve according to equation (3) is illustrated in Fig. 2 as a red dashed line and takes into account that in typical real applications some static head needs to be maintained even if the flow rate is reduced to very small values. It should be noted that although the restriction to this pressure control curve clearly affects the numerical values of energy efficiency index, the general methodologies to determine the energy efficiency index presented in this article are valid independently of a particular pressure control curve. The energy efficiency index is the result of the qualification of pump units in terms of energy efficiency according to the EPA described above. The energy efficiency index is defined in such a way that a dimensionless value representing the energy efficiency of the performance of a fixed- or variable speed pump unit used in a particular type of application is established. Thus, also an additional aspect of competition is introduced (in comparison to a system of minimum required efficiencies only, e.g. MEI-  and IE-classes ) by showing the effect of the whole configuration of a pump unit on its energy consumption in different types of applications. where P1,avg is a weighted average of the electrical power input of the actual pump unit (either fixed or variable-speed) and P1,ref denotes a reference electrical power input of a reference fixed-speed pump unit (c.f. Fig. 3). The wording "actual pump unit" denotes the really existing pump unit the energy efficiency index shall be determined for while "reference pump unit" denotes a virtual pump unit that is used to normalize the power consumption of the actual pump unit for the purpose of energy efficiency index determination in this article. Generally, two methodologies for determining the electrical power input of the actual pump unit P1,i in equation (5) are possible. These experimental and semi-analytic approaches are described in chapters following below. The reference electrical power input P1,ref, in the denominator of equation (4) is established upon a (virtual) reference fixed-speed pump unit (without variable frequency drive). It is defined in a way to be independent from technical particularities of individual (existing) pump units and serves to normalize the values of the energy efficiency index in order to compensate physical and technological differences on maximum attainable energy efficiencies. Hereby pump units of different type, size and nominal data, but of the same quality of energy efficiency, will have comparable numerical values of energy efficiency index for the same load-time profile and pressure control curve. is derived from the calculation procedures defined in an IEC standard that concerns the IE classes system for asynchronous motors . The procedures therein and hence the reference motor efficiency depend on the frequency of the electrical grid supplying the (existing) actual pump unit f1, the pole pair number of the (existing) actual asynchronous motor NP, a fixed IE class the (virtual) reference motor shall exactly fulfill and the reference shaft power P2,ref, that has to be determined according to equation (7) in advance. The EUROPUMP working group developing the EPA for clean water pumps has not finally fixed the MEI value and IE-class the (virtual) reference components shall exactly fulfill in the definitions of ηPump,ref and ηMot,ref. According to a proposal of the working group, a MEI value of 0.4 and class IE3 are used to evaluate P1,ref, in the numerical examples in the subsequent chapters of this article. Although these restrictions clearly affect the numerical values used in the examples, the general procedure to determine P1,ref, is valid independently of particularly chosen MEI values and IE classes. 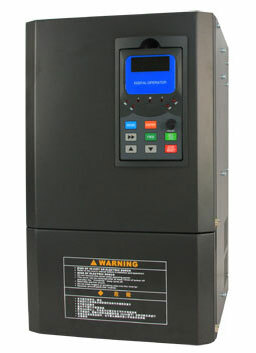 The reference electrical power input P1,ref, is the electrical power input to a (virtual) reference fixed-speed pump unit (without variable frequency drive). The reference unit has the same nominal rotational speed ( n100%) and hydraulic quantities (pump type, Q100%, H100%) as the (existing) actual fixed- or variable-speed pump unit the energy efficiency index shall be calculated for. The reference unit consists of state-of-the-art components as they are defined by means of existing product-specific standards (MEI,  and IE, ). The reference electrical power input P1,ref, is the electrical power input to this established (virtual) reference fixed-speed pump unit when its operation at nominal hydraulic conditions (characterized by Q100% and H100% of the existing actual pump unit) is considered. Hence, the reference electrical power input P1,ref, rests upon nominal information on the rotodynamic pump of the (existing) actual fixed- or variable-speed pump unit only. It can be determined entirely based on information given in the product documentations as consequence. The experimental approach to determine the energy efficiency index is straightforward: The fixed- or variable-speed pump unit to investigate has to be installed on a test bench. For the tests to be done, suitable measurement equipment to determine the electrical input power P1 and the hydraulic output power characterized by the flow rate Q and the pump head H has to be available. Besides these primary measurement quantities, additional measurement equipment might be necessary to prove that standardized test conditions are fulfilled which will be described in future standards on energy efficiency index. The duty points Qi/Q100% of the load-time profile (e.g. the load-time profile for closed loop applications, c.f. Fig. 2 and Table 1) must be adjusted by throttling and in case of variable-speed pumps additionally by adjusting the rotational speed in order to follow the standardized pressure control curve (e.g. the pressure control curve according to equation (3) and Fig. 2). For each duty point the electrical power input to the actual pump unit P1,i must be measured. Afterwards, the averaged electrical power input P1,avg can be determined from the measured P1,i values according to equation (5). To use equation (4) and calculate the energy efficiency index, the reference electrical power input P1,ref has to be determined as well. The only information necessary to determine P1,ref is the nominal data of the rotodynamic pump of the actual fixed- or variable-speed pump unit. This information serves to establish the (virtual) reference fixed-speed pump unit belonging to the (existing) actual fixed- or variable-speed pump unit and can easily be found e.g. in the product documentation. As no measured data is necessary to establish P1,ref, this reference value could also be calculated before the experimental investigation. In the last step, the energy efficiency index for the (existing) actual fixed- or variable-speed pump unit can be calculated by means of equation (4). This experimental approach is straightforward, but causes high effort especially when an actual pump unit equipped with components delivered by different manufacturers is considered. to enable (or ease) generally a systematic determination of energy efficiency index values for units consisting of components delivered by completely different manufacturers. 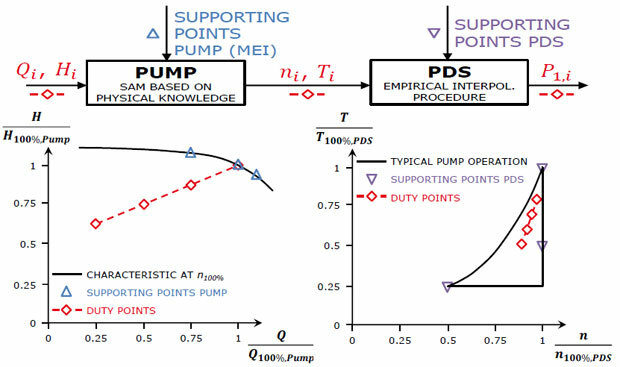 The aim of the general procedure is to determine the electrical power input values P1,i to the actual pump unit at each duty point of the load-time profile by means of semi-analytic models (SAM). This method is developed within a project carried out at the Technische Universitaet Darmstadt. The project was initiated and is supported by EUROPUMP. It aims at the theoretical elaboration and experimental validation of the semi analytical models method in the frame of the EPA for pump units. When applying this method, the performance of the actual pump unit – and finally its electric power consumption – is mathematically synthesized using modeling of its particular components and taking into account the physical interactions of the components. The model of the pump unit is called semi-analytical because the mathematical correlations used describe the performance in a principal form that reflects the underlying physical processes and influences, but only needs a small amount of well defined data from the separate components. These so-called supporting points serve to "calibrate" the principal equations describing the performance of both components (rotodynamic pump and power drive system) to the investigated components. The general calculation procedure by means of the semi analytical models of the pump unit as well as the location of the supporting points of pump (blue upward-triangles) respectively power drive system (purple downward-triangles) are illustrated in Fig. 4. The semi analytical models of the pump unit consists of a semi analytical models of the pump that is based on physical knowledge (affinity laws for rotodynamic pumps) and an empirical interpolation procedure for the losses of the power drive system. In case of the pump, the three supporting points correspond to the three duty points defined in the frame of the MEI (c.f. ), namely one at 75 % part load, one at 110 % over load and one at best efficiency point (BEP) of the pump. In case of the power drive system the supporting points are different: They correspond to three out of eight supporting points which will be defined by  that form the corners of a characteristic triangle in the n - T - plane containing the typical operation conditions of rotodynamic pumps. The supporting points of the power drive system will be available (i.e. indicated in the product documentations) or at least calculable for each power drive system on the market in the future. In the end, the main purpose of both the semi analytical models of the pump and the interpolation procedure for the losses of the power drive system is to enable a prediction of the performance of both components at the duty points of the load-time profile on base of only these three supporting points per component. The physical and empirical knowledge about the components' part load behaviors representing the basement of the modeling enables sufficiently accurate predictions despite of the low numbers of supporting points. Although validation of the semi analytical models methodology has not been finally accomplished at the time this article was written, latest results in determining the energy efficiency index by means of the semi analytical models methodology show deviations from experimentally determined energy efficiency index values only in the order of magnitude of typical total (systematic + statistic) measurement uncertainties. The semi analytical models calculation procedure is presented very basically in this article: The semi analytical models of the pump and the interpolation procedure for the losses of the power drive system are treated as black-box models (input-output models) without giving detailed information about their internal mathematics (c.f. Fig. 4). At the time this article was written, such details about the semi analytical models of the pump respectively interpolation procedure for the losses of the power drive system were still under consideration by the EUROPUMP working group developing the EPA for clean water pumps and will be described in a future standard on EPA for pump units once they are finally validated. 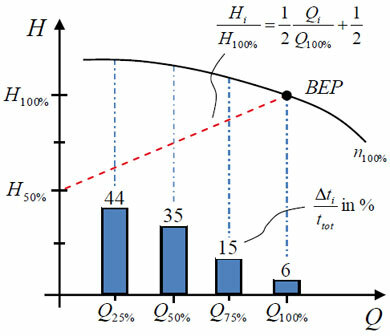 Nevertheless, the general procedure of determining the energy efficiency index by means of the semi analytical models method has been fixed by the working group so that further changes of details inside the blackbox models of pump and power drive system will improve the accuracy of predicting the numerical value of energy efficiency index but not affect the general procedure presented here. In the following, the principal calculation procedure to determine the energy efficiency index of a pump unit by means of the semi analytical models methodology will be explained in a numerical example. 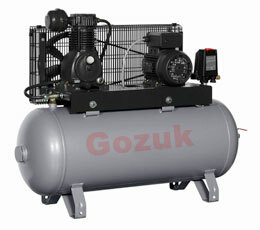 For this purpose, a fictitious variable speed pump unit is utilized. The unit's nominal data is listed in Table 2 for convenience. Especially note that in case of the semi analytical models method, a strict distinction between the nominal values of the pump and the nominal values of the power drive system needs to be utilized. To facilitate the distinction, the subscript 100%,Pump will replace the subscript 100% used above for nominal values of the pump and 100%,power drive system will indicate nominal values of the power drive system in the following. The fictitious pump unit used in this numerical example does not correspond to any pump unit investigated at TU Darmstadt within the EUROPUMP project. The fictitious pump unit is equipped with a so-called "vertical multistage" (MS) pump with 3 stages and a 2-pole asynchronous motor. Because of the 2-pole asynchronous motor (NP = 1), n100%,pump = 2900 rpm has to be chosen as nominal rotational speed of the pump according to equation (2). In contrast, the nominal rotational speed of the power drive system corresponds to the nominal load condition of the power drive system where the nominal mechanical power P2,100%,PDS and nominal torque T100%,PDS, of the power drive system are delivered simultaneously. Therefore, n100%,PDS represents a design value of the power drive system and is individual for each power drive system. The nominal data of the fictitious power drive system used in this numerical example is listed in Table 2, too. The energy efficiency index in this numerical example will be determined on base of the closed loop load-time profile (c.f. Fig. 2, Table 1) and, as a variable-speed pump unit is considered, the pressure control curve defined by equation (3). The supporting points for the components of the fictitious pump unit which need to be available for application of the semi analytical models method are given in Table 3. The three supporting points of the pump (defined by the rated flow rate Q/Q100%,pump) are given in the left table, while the three supporting points of the power drive system (defined by the relative speed n/n100%,PDS and relative torque T/T100%,PDS) are given in the right table. The performance-characterizing values of the pump that need to be known for each supporting point are the rated head H/H100%,pump and the rated mechanical power P2/P2,100%,pump, the respective values of the power drive system are the so-called related losses pL,PDS = PL,PDS/P2,100%,PDS. These are dimensionless values that indicate the magnitude of the absolute losses of the power drive system pL,PDS, at an operating point in relation to the nominal mechanical power of the power drive system P2,100%,PDS. In a first step, the values of rotational speed ni and torque Ti corresponding to the load points Qi and Hi defined by the closed loop load-time profile and pressure control curve defined by equation (3) need to be determined. For this purpose, the semi analytical models of the pump is adjusted to the actual pump of the fictitious pump unit by means of the pump's supporting points listed in Table 3. After this, the mechanical representation of the load points can be calculated by means of the semi analytical models of the pump. This is given relative to the pump's nominal point in Table 4. In the next step, the related losses PL,PDS,i, have to be determined for the mechanical load points. For this purpose, the interpolation procedure for the losses of the power drive system is adjusted to the actual power drive system of the fictitious pump unit by means of the supporting points of the power drive system given in Table 3. The results of the interpolation scheme of the power drive system as well as the mechanical load points in their representation converted according to equation (10) are given in Table 5. Note that for better orientation the rated flow rates are still given in their form relative to the pump's nominal point in Table 5. The combined results respectively the searched electrical power input values P1,i to the fictitious pump unit for each load point of the closed loop load-time profile and for the pressure control curve defined by equation (3) are listed in Table 6. The reference electrical power input P1,ref of the (virtual) reference fixed-speed pump unit corresponding to the fictitious actual variable-speed pump unit investigated in this numerical example must be calculated before the energy efficiency index can be determined for it. Note that the determination of P1,ref is based on nominal information on the actual rotodynamic pump only. These can easily be found e.g. in the product documentations. Hence, the value of P1,ref could have been calculated before the determination of P1,avg as well. With the averaged electrical power input determined by means of the semi analytical models and the reference electrical power input calculated just before, the energy efficiency index determined on base of the closed loop load-time profile and the pressure control curve defined by equation (3) can finally be calculated for the fictitious actual variable-speed pump unit as energy efficiency index ≈ 0.530 in this numerical example. After European legislative regulations started ascertaining and prescribing minimal levels of the efficiencies of pumps within the frame of the Product Approach in January, 2013, the European energy efficiency strategy might aim at the very often used combinations of rotodynamic pumps and asynchronous motors with and without VFDs in the frame of the Extended Product Approach in the future. If the Extended Product Approach will be introduced in European legislation and standardization, the methodologies to determine the energy efficiency index presented in this article might be applied by manufacturers or suppliers of pump units to determine the energy efficiency index-values of the pump units they place on the market or put into service. IEC 60034-30:2008, "Rotating electrical machines – Part 30: Efficiency classes of single-speed, three-phase, cage-induction motors (IE code)"
 CLC reference prEN 50598-1:201X, project number 24602, "Ecodesign for power drive systems, motor starters, power electronics & their driven applications – part 1: General requirements for setting energy efficiency standards for power driven equipment using the extended product approach (EPA) and semi analytical models (SAM)"